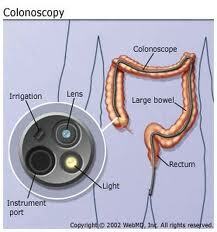 A colonoscopy is a test that allows the doctor to look at the colon and large intestine. 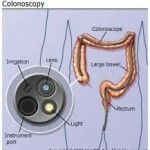 This is done using a thin and flexible camera that is referred to as a colonoscope. There are a few things to know about tthis procedure. A colonoscopy is used on an exploratory basis. It can be used to search for the cause of abnormal tests such as CT scans or to find the cause of ailments of a person may be dealing with such as blood in their stools. It is a routine practice for those over the age of 50 as it is the best way to detect polyps and colorectal cancer. It is also routine for those with bowel issues, such as IBS in order to track the progression of the condition. Before the test can be done, the bowels need to be cleared in order for the test to work as the camera will not be able to properly see. The way this is done is with a prescription strength laxative. There are a few different ways this can work. Doctors have their preferences so it is important to listen to the advice of the doctor on how to take the prep medication. This includes aspects such as not eating after the prep work has been started.